The following alert is issued to all serious golfers, particularly those who may be planning a trip to Scotland: Excessive play on this side of the Atlantic—particularly on the Old Course at St. Andrews—may be damaging to your game. I’m living proof. I’ve just returned from a summer sojourn to the States where I played several rounds. The results were uniformly catastrophic. The courses I played weren’t particularly difficult—they just weren’t Scottish. During the past six years roughly 90 percent of my golf has been played in St. Andrews and about 90 percent of those rounds have been on the Old Course. In the process, I have lost the ability to navigate the courses of my homeland. Even within that special breed of courses known as links, the Old is a bit of an oddball. It demands things that few other courses demand while letting you off for mistakes that would bury you anywhere else. You don’t play the Old Course—it plays you. Over time, every aspect of your game will start to cater to its whims. My handicap on the Old is a manageable 5; just about anywhere else I’m a struggling 10. At first I thought it was simply a matter of good chemistry—the course fit my eye and fit my game. Now, I realize I’m the one who has done the fitting. Off the tees, there’s not just room, there’s silly room. Since many holes share fairways, the short grass zone can be 100 yards or more in width. 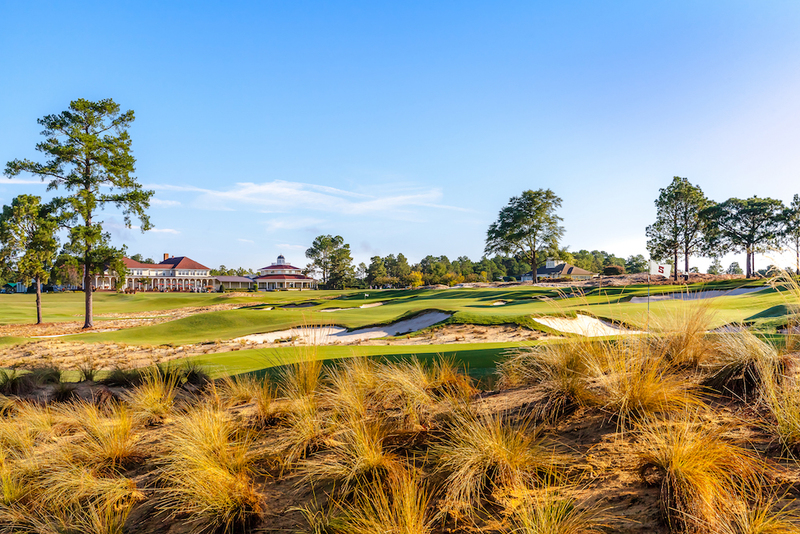 Granted, there are preferred lines of play and dozens of bunkers to be avoided, but trust me, with the exception of the 17th hole where you stare at the hindquarters of a hotel, the views from the tee are not intimidating. Moreover several tee shots are semi-blind—you can’t see your ball land and roll out. For me that’s blissful ignorance. The result is that I’m generally able to make a free, unfettered swing, resulting in a solid drive. Okay, it may not always be super straight, but hey, on the Old Course, who cares? Now, transplant me back to an American course, staring down tree-lined bowling alleys at desirous bunkers and beckoning ponds, and what happens? I fear, I steer, and I veer. The truth is that on U.S. courses I should tee off with my 3-wood, but the truth also is that I can’t hit a 3-wood anymore. You see, on the Old Course, unless you’re playing in a tournament, you’re forced to play from “the boxes.” Essentially that reduces the Old Lady to 6,600 fast-running yards—LPGA length. There are only two par 5s, and invariably one of them plays downwind. As a result, on days when I’m driving the ball decently, I don’t have much need for fairway woods. On the rare occasions I do hit them, I hit them poorly. The Old Course caddies are fond of saying “Left is right, right is shite,” meaning most of the trouble—out of bounds, deep bunkers, impenetrable gorse—is on the right side. When I arrived in St. Andrews six years ago, my bread-and-butter shot was a fade—a high fade. Now it’s a draw—a low draw—that works great on the Old Course, where most of the greens allow a running approach and all of the greens are extremely firm (no one gets much bite, so it really doesn’t matter how your ball comes to earth). 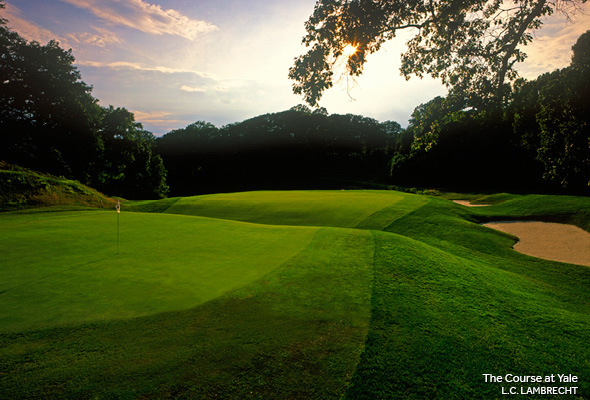 The best tack is to land on the front of the green—or well short of it—and let the ball scuttle to the hole. However, as you can readily appreciate, this method is palpably less effective in the U.S. where our target-golf courses call for shots that approach like balloons rather than sniper fire. In the process of cultivating the low draw I developed the dreaded Old British Guy swing, a short backswing followed by a convulsive lurch through the ball. The unfortunate side effect of this is that now, like most Old British Guys, I can’t get it up (the ball that is). My wedge shots look like weak 7-irons and my 7-irons look like my wife’s drives. When I lived in the U.S. my home course had lots of trees and marked changes in elevation. As a result, I became reasonably comfortable maneuvering the ball—hitting little slices and hooks out of the woods and adjusting to hilly lies and elevated greens. The Old Course has zero trees and is dead flat—draw your own conclusions about the state of my shotmaking skills. The putting surfaces of the Old Course are the largest in the world. Seven of them are double greens, the largest being the one shared by the fifth and 13th which is capable of containing the first 10 greens at Pebble Beach. This situation, as you might imagine, has a couple of major implications. First, in someone like me it breeds an undisciplined approach game—when you can miss a flagstick by 50 yards and still have a putt for birdie, your shot-planning and overall focus tends to be less than laser-like. Ssecond, it all but eliminates the short game. Since there is little or no fringe to deal with, even when you miss a green the next shot is played with a putter, or at least launched low to the ground, whether with a middle iron or a utility wood. The only time I swing a lofted wedge is to extricate myself from a pot bunker, and I’ve absolutely lost touch with the little chips, chops, flips, and flops that used to be second nature. In fact, they now terrify me. The Old Course greens, as enormous as they are, putt even bigger because they’re slow, at least by American standards: generally between eight and 10 on the Stimpmeter. Once I realized that the quiet, dead-handed stroke I’d brought with me from the slippery bentgrass greens of the U.S. Northeast was of little help, I learned to pummel my putts across fescue. 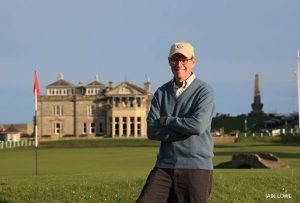 Indeed, I will confess that there is one area of my game that has improved since moving to St. Andrews—the ability to two-putt from 100 feet, an absolutely useless skill on the world’s other 35,000 courses. So take my advice. Proceed to Scotland at your own risk and play the Old Course at your peril. Once you return home, if the symptoms persist for more than a month, seek professional help. Either that or find yourself a big, barren, wind-battered course where all the trouble’s on the left and all the greens are football fields.